Provided photo A former Rogers USA employee, George Martin, at the Covington location of Rogers USA. Provided photo The location of the former Rogers USA factory in Covington. Provided photo A Rogers USA drum set. 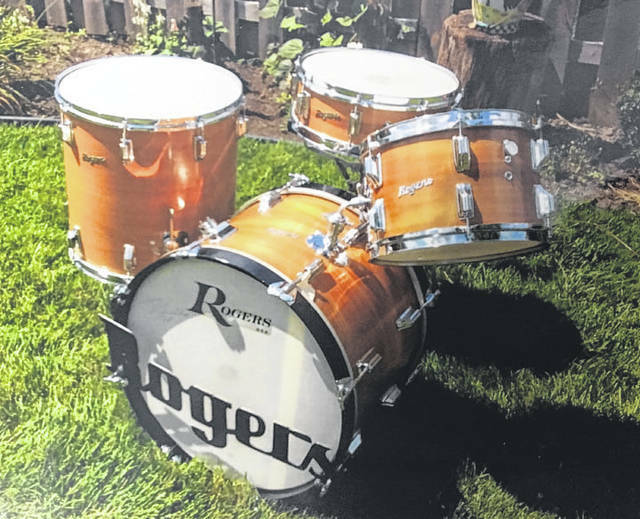 COVINGTON — A group of former Rogers USA employees and enthusiasts are putting on a weekend celebration, including a parade and a drum show, in remembrance of the drums manufacturer that called Covington home during its “golden age” in the 1950’s and 1960’s. “The whole idea of this is to represent the employees at Covington,” said Jerry Shields, one of the organizers for the upcoming Rogers USA Drum Show and a former Rogers USA employee. The Rogers USA Drum Show will be held Saturday, April 27, beginning with a parade at 9 a.m. The vendor market and additional entertainment will be at the Newberry Township Hall at 102 Pearl St. in Covington following the parade. A VIP dinner for former Rogers USA employees will be held at 7 p.m. on April 26, at Buffalo Jacks, 137 S. High St., Covington. Joseph H. Rogers, an Irish immigrant, founded the business in 1849, establishing the first calfskin head — used for drum heads — company in the U.S. in Brewster’s Station, New York. His son Joseph H. Rogers Jr., later followed with a second tannery in Farmingdale, New Jersey. In the 1930s, grandson Cleveland S. Rogers began manufacturing the first Rogers drums at the the Farmingdale tannery in addition to the drum and banjo head production. In 1955, Rogers sold the Rogers USA company to distributor Henry Grossman, who moved the company to his farm in Covington. With inventor Joe Thompson, the company moved to the forefront of American drum manufacturing. “He changed the whole thing completely around,” Shields said about Thompson. Shields explained that Thompson hand-trained employees and that they were building approximately 1,800 drums a week by the 1960s at their factory in Covington. “These employees were never recognized,” Shields said. Shields said that of approximately 130 employees at the Covington location of Rogers USA, there are only about a dozen of them left. “I tested drums before they went out the door,” he said. Shields stayed with the company until they left Ohio. “Their quality was the number one thing,” Shields said about the drums they produced. He said that they made drum sets for professional drummers, like Roy Burns. Other professional drummers used their drums on shows like the “The Tonight Show” with Johnny Carson. CBS bought Rogers USA in 1966. Rogers USA left Covington in 1968, moving to Dayton and then later to California in 1969. The Rogers line was later discontinued in 1984. The drum show following the parade will include a presentation from the mayor, a dedication to the former Covington employees of Rogers USA, guest speakers talking about drums, vendors with Rogers USA items and memorabilia, and live music. While this event is geared toward the local families who remember and worked at Rogers USA, Shields also expects that there will be Rogers USA enthusiasts who will be traveling from all over the U.S. to visit during the event. For anyone who would like to join the parade, call (937) 473-3179 for more information. For anyone who would like to be a vendor and showcase Rogers USA products, call (614) 946-0561 for more information. https://www.tdn-net.com/wp-content/uploads/sites/21/2019/04/web1_Rogers-USA-Covington-location-.jpgProvided photo A former Rogers USA employee, George Martin, at the Covington location of Rogers USA. 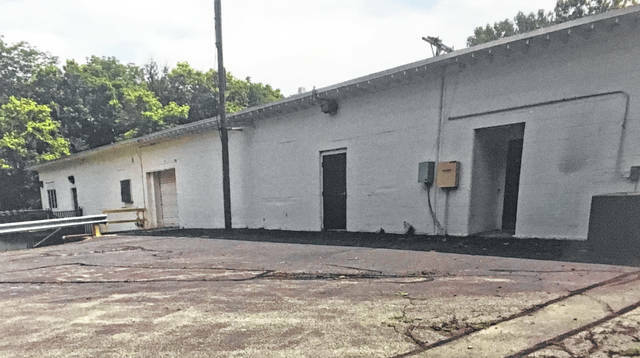 https://www.tdn-net.com/wp-content/uploads/sites/21/2019/04/web1_Rogers-USA-location-CMYK.jpgProvided photo The location of the former Rogers USA factory in Covington. 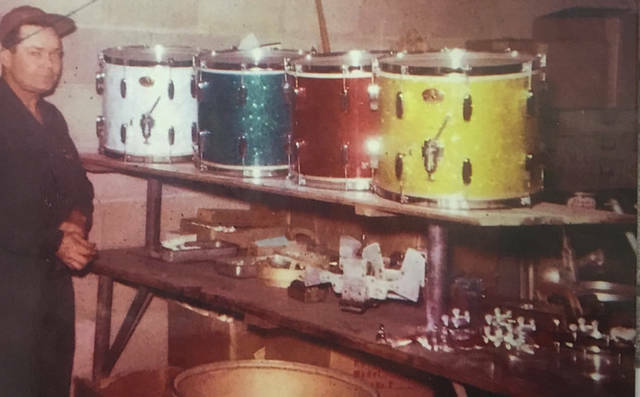 https://www.tdn-net.com/wp-content/uploads/sites/21/2019/04/web1_Rogers-USA-drum-set-CMYK.jpgProvided photo A Rogers USA drum set.